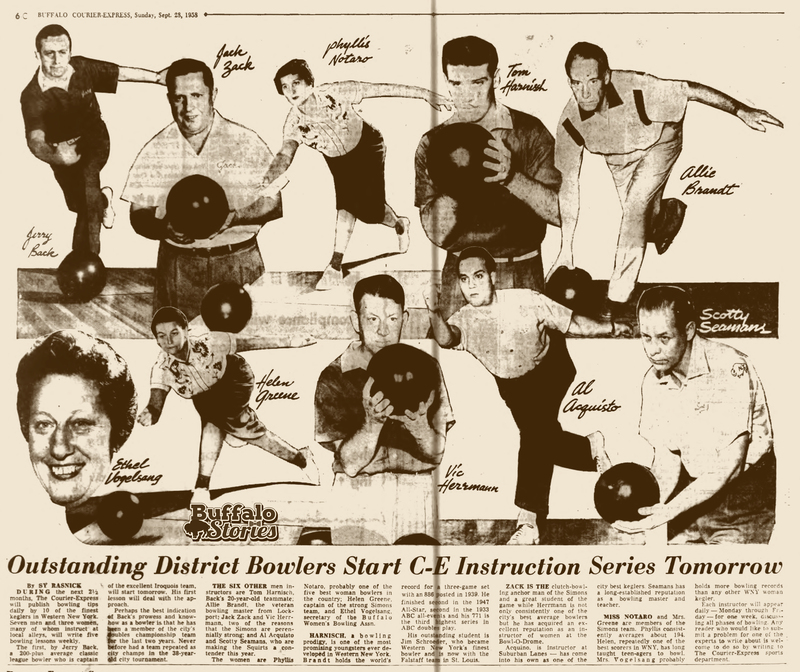 We Buffalonians don’t bowl anywhere near as much as we used to, but just like we still consider ourselves a blue-collar town (even though most of the blue-collar jobs have been gone for decades) we still sentimentally feel a link to the game our parents and grandparents enjoyed over pitchers of beer in leagues all across the city. 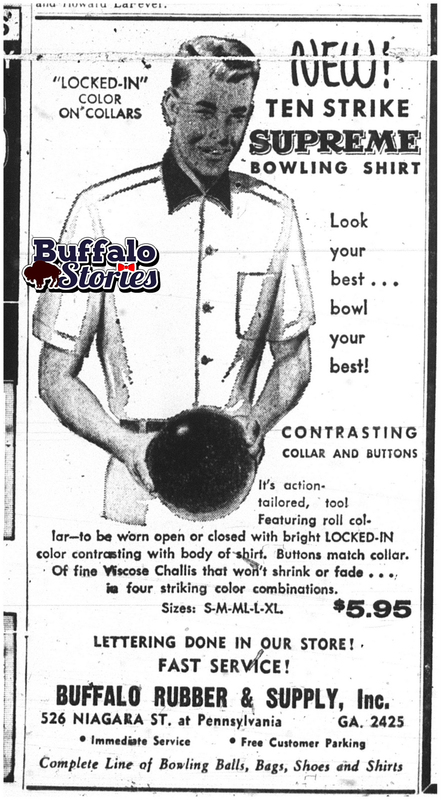 While for many bowling was a game that was as much about smoking and drinking and socializing as it was about rolling a ball down the lane, it was also serious business in Buffalo. When local TV bowling was at its zenith in the 1950s, even radio stations promoted their coverage of the sport. 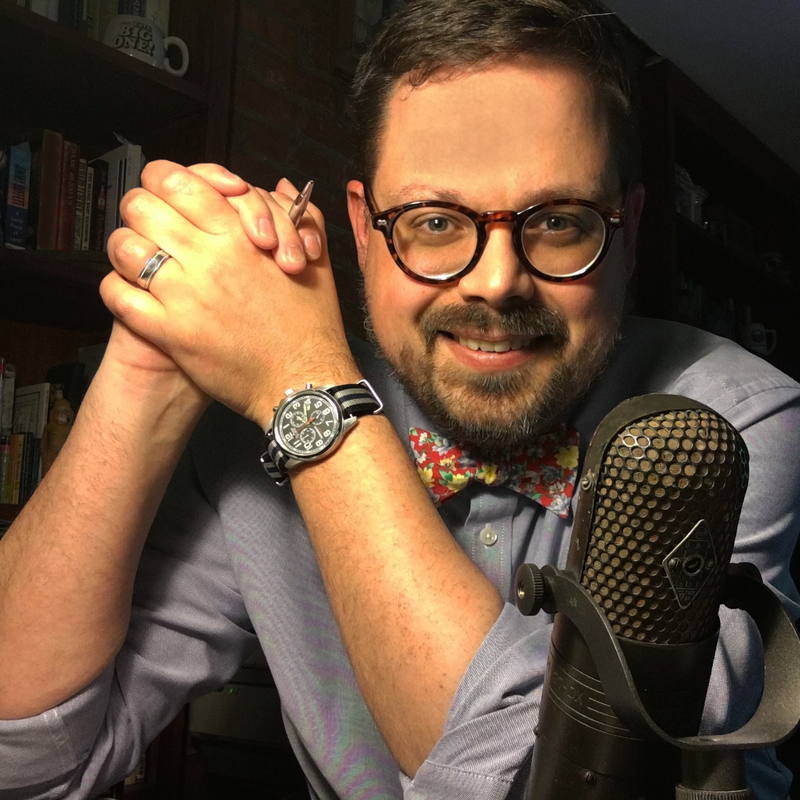 Ed Little, who spent 62 years working in radio, most of them in his hometown of Buffalo, read the bowling scores on WEBR Radio before he took the drive down Main Street to host live broadcasts with the stars performing at the Town Casino. 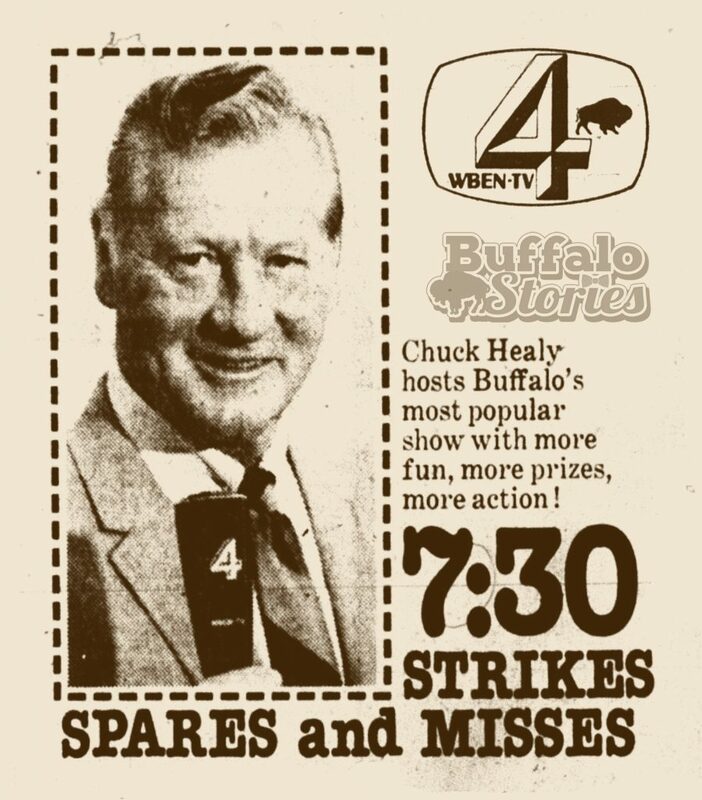 Buffalo’s best bowlers became celebrities– well known from their exploits as televised. Nin Angelo, Allie Brandt, Phyllis Notaro, and scores of others became some of Buffalo’s best known athletes. We live in an era where we’re watching the numbers of Western New York bowlers and bowling alleys dwindle rapidly. 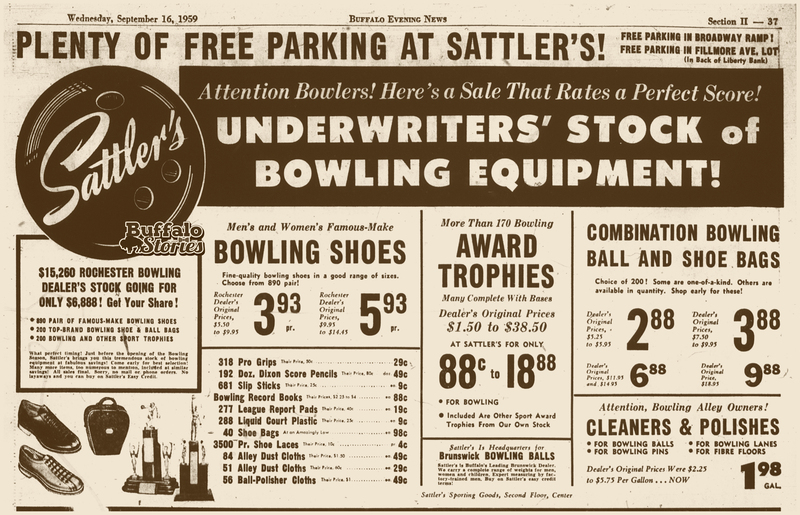 But five or six decades ago, it wasn’t just bowling alleys that were plentiful: The sports pages of The Buffalo Evening News and Courier-Express were regularly filled with ads for the all the accouterments of bowling. Bowling was big, and judging by the pages of the city’s newspapers, there was big money to be made as well. 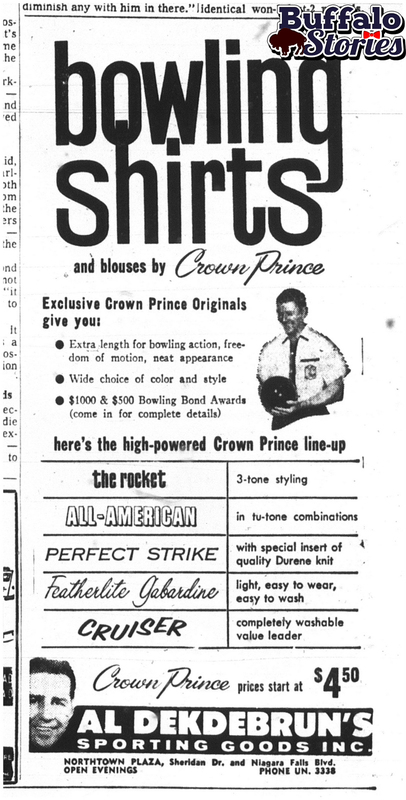 The run up to league time in 1960 saw no fewer than five decent-sized ads for custom bowling shirts…. 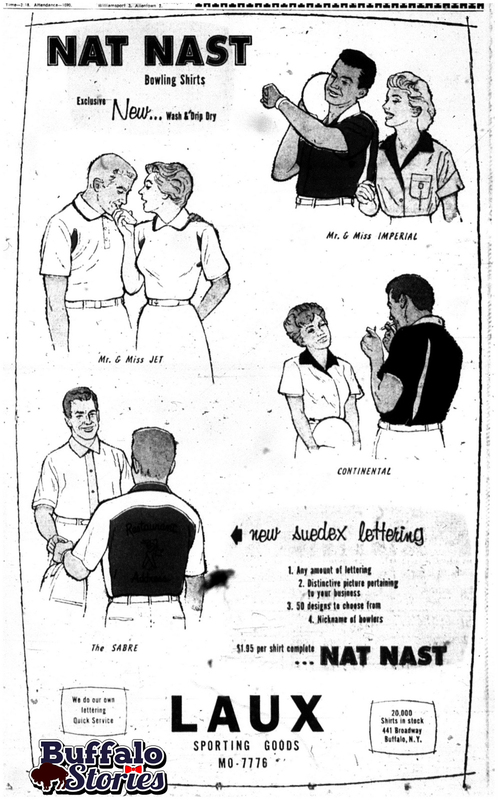 because it wasn’t just about your score, it was about looking good at the social event of the week at your neighborhood bowling alley.